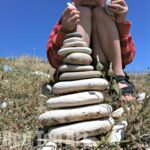 Welcome back for some more Nature Play Ideas – our little nature play mini series that we are sharing with you after our family holiday. Where the kids got busy collecting nature items and then playing with them LOTS! I captured some of our activity and thought I would share them with you. 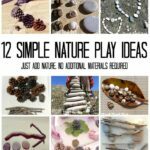 The idea is to use our nature play ideas and adapt them to the “nature” available near you. So. Onto todays play idea!! 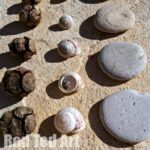 Ok, I have to say we ADORED this Nature Play idea – creating a treasure hunt. And I found, that once we set it up for the kids ONCE, they went off and recreated their own. This works for me on so many levels – you learn about following instructions. You learn about directions, you have to count and it helps if you work in a team. I also love it, as it appeals to broad age group. 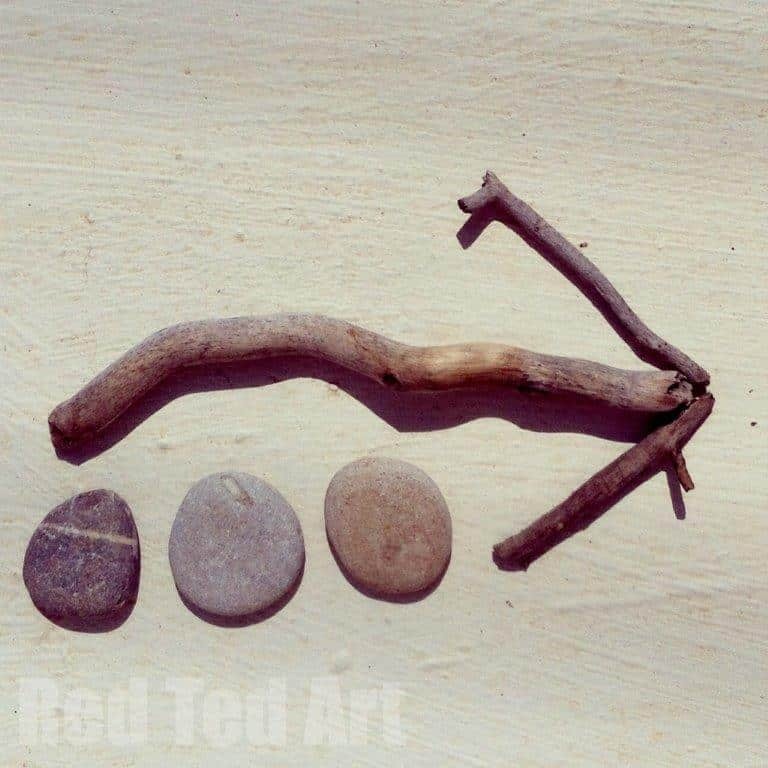 With younger kids, keep it simple and maybe a stone reprents a step. For older kids a stone can represent a 100 steps or yards. 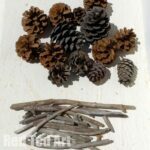 But a brief explanatio – use nature items to create a trail. 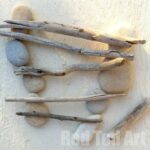 In this instance the sticks indicate the direction and the stones the number of steps. 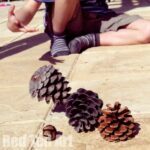 You can use sticks only (and create little lines for steps), pinecones, acorns, chestnuts, sticks – whatever you can find. You can also vary it and provide a list of meanings – e.g. stones mean 10 steps, pinecones mean a 100 etc. We kept it really simple and created a trail around the house, with a cupcake at the end to celebrate! Read more Nature Play ideas here.